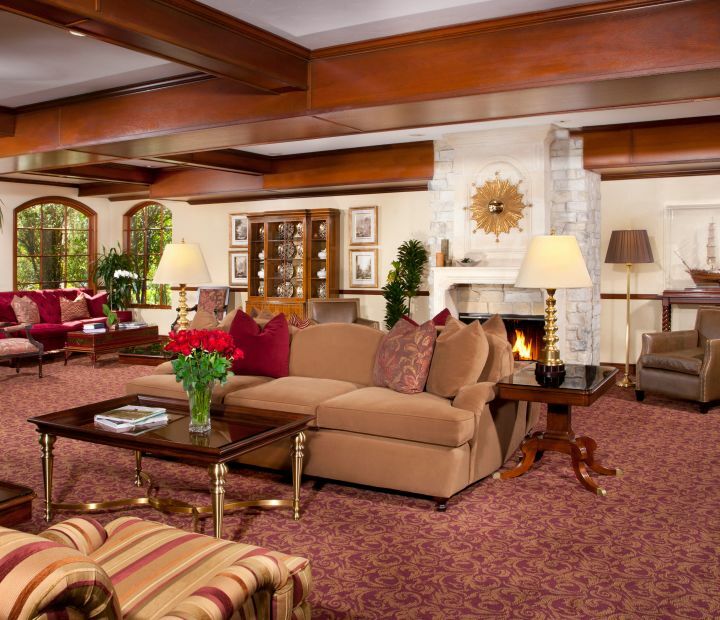 With panoramic mountain views, our elegant rooms and suites are sumptuously appointed with beautiful decor and imported wood furnishings. 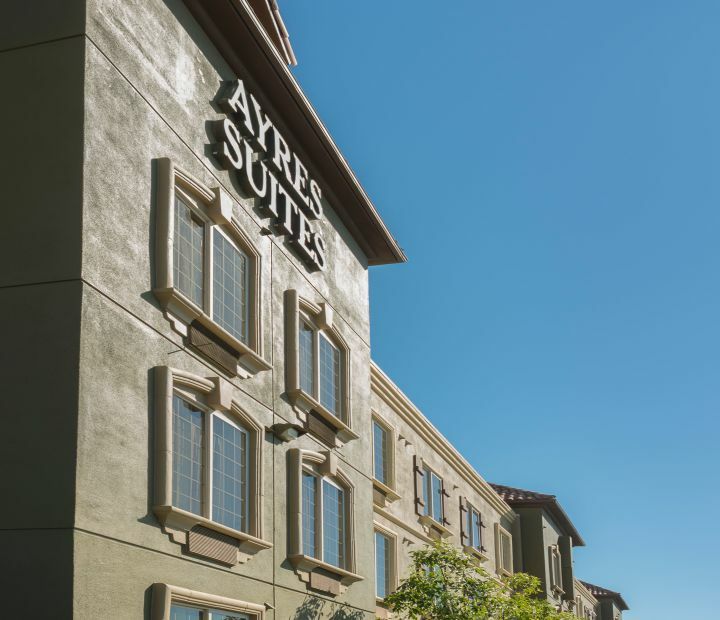 With a distinctive ambiance and a modern Orange County feel, our lovely hotel suites in Mission Viejo feature Ayres Celestial Sleeper beds, writing desks, flat-screen TVs, iHome Mp3 players, refrigerators, microwaves, and complimentary WiFi. 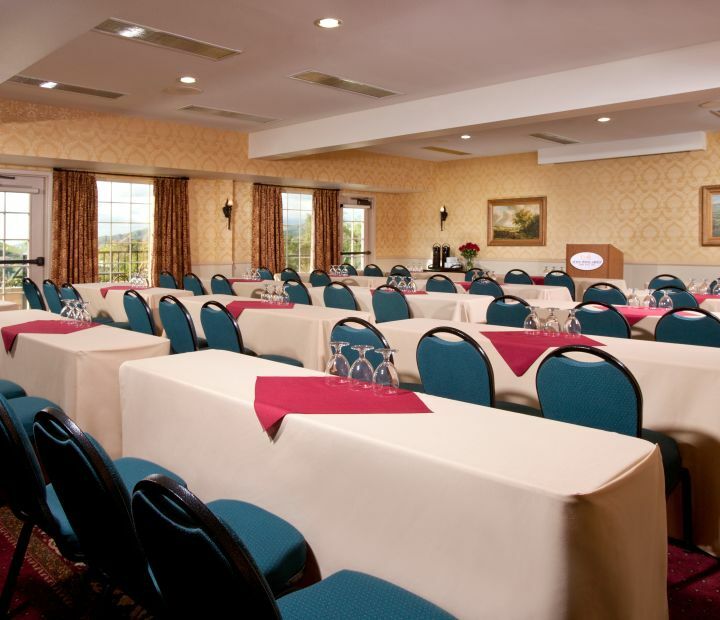 Host your business meetings and special events in 1,125 square feet of stylish meeting space, including the Tuscany and Monaco rooms. Our distinctive event rooms are designed to host up to 60 guests and are equipped with audiovisual support and complimentary WiFi. Start your morning with lavish, hot buffet breakfast, and ease into the night at our Happy Hour with complimentary wine, beer, and light entree. 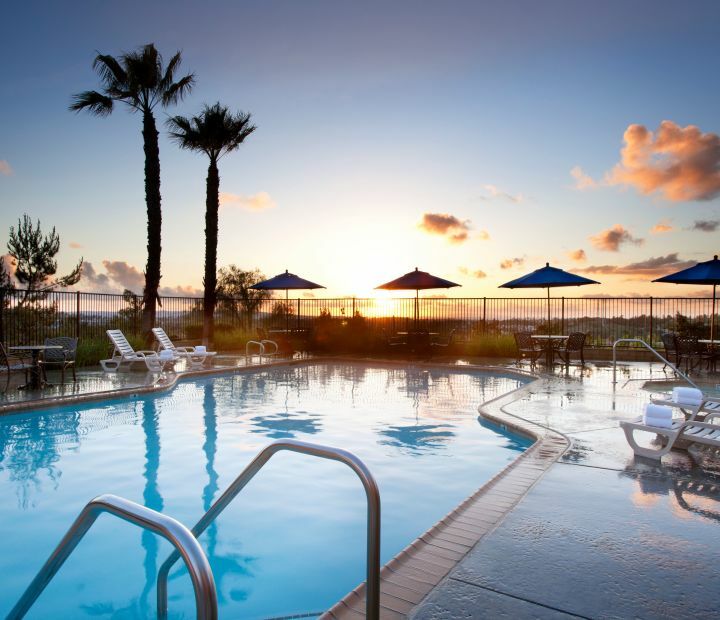 Stay connected with wireless Internet, get energized in our fitness studio, and relax and watch the sunset at the outdoor pool and spa, surrounded by spectacular views of the Saddleback Valley. 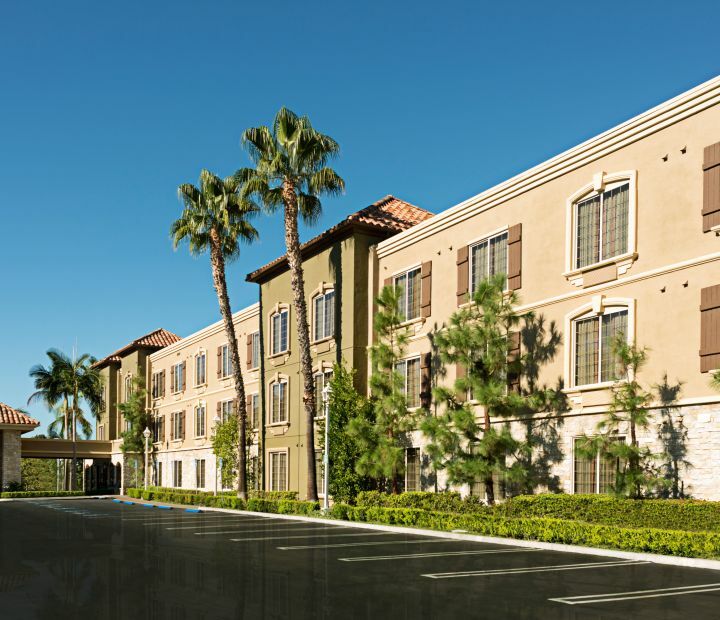 Discover things to do around our Mission Viejo hotel. I have used this hotel for several business trips and the customer service is always excellent. Director of Sales, Jessica Singh has been a pleasure to work with - she is quick to respond, professional and accommodating. 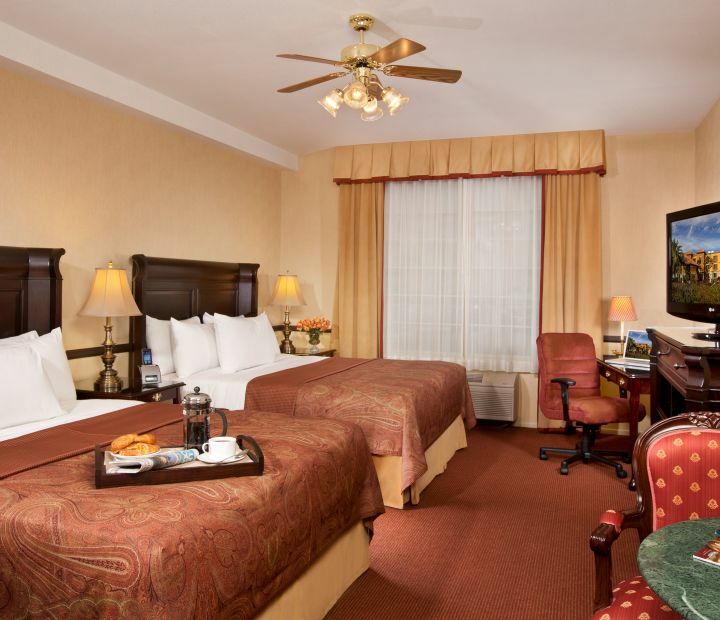 The hotel itself is clean, and the rooms are very spacious. Complimentary hot breakfast and evening reception are fantastic. The staff is extremely friendly and always there to make your stay exceptional. The rooms and facilities are very clean, the rooms are spacious, the furniture is in good condition and the bed is really comfortable. The best part is the complimentary snacks in the evenings. More than once the staff at the hotel has gone out of the way to make my stay a great experience. Special thanks to the kitchen staff! Comming back to the hotel after a tough business day and find a complimentary glass of chilled wine and some warm food makes the rest of the day much better. 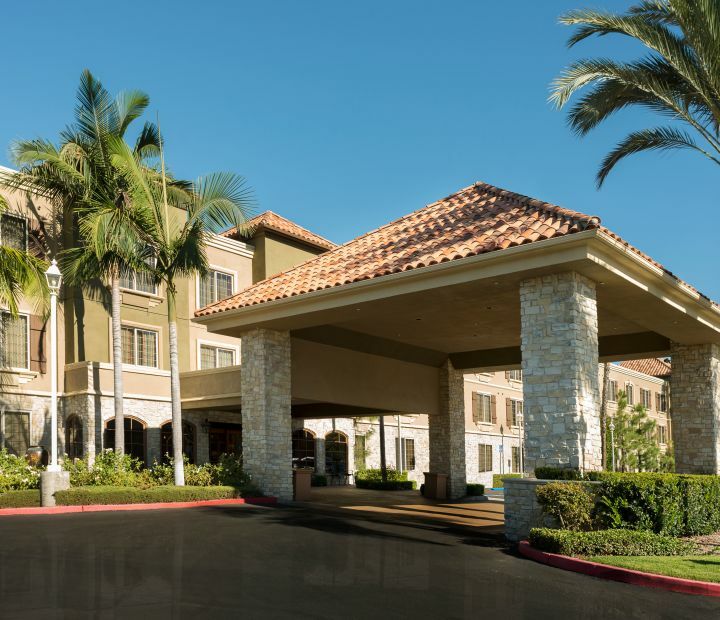 Great stay including a free hot breakfast,complimentary tasty food reception with wine and beer,cookies and fruit in lobby, juice, tea and coffee always available, clean nicely decorated rooms, pool, jacuzzi, staff was vety friendly and helpful. Ground floor room with a slider to a private patio with a table and chairs. Great relaxing stay,what more do you need? See what we're sharing on social media.